Digital marketing uses digital technologies, such as online advertising, to market goods and services. But its complexity to ever increasing. 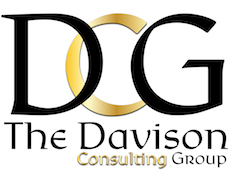 The Davison Consulting Group will help you navigate this complex environment and manage the technologies that best grow your business. We offer three personalized processes that embed your digital imprint. We will also manage your social media, advertising and more. Google AdWords is a way to target keywords and phrases in Google. For example, if you are a HVAC and you want to target “furnace repair”, you can do so with proper keyword research. The Davison Consulting Group can put together an effective AdWords campaign that conveys your message, leading to the conversion of new customers. Having your website properly optimized allows people to search for your site using search engines such as Google or Bing. SEO is a focused discipline, that takes technical and creative elements to get a website a higher ranking, drive traffic, and get more awareness.